Those connected to the 1989 Bend Bucks all wanted to be somewhere else or be someone else, The Los Angeles Times wrote for a June minor league feature. Even the Bend Bucks mascot, Bucky, wanted to be someone else, namely the San Diego Chicken, The Times wrote. "The Chicken is my idol," Curt Winchell, the substitute teacher who played Bucky that year told The Times. "I'd like to make it to the bigs someday. I know it's not something you can go to school for, but I can be anything I want under that thing." Bucky found himself on at least three baseball cards, one on a three-wheeler. But the mascot apparently didn't last longer than a couple more seasons. The team he represented, the Bend Bucks, itself lasted just five campaigns, ending in 1991. Bucky's first card came in the team's 1988 team set. That's the card where he is seen on the three-wheeler, popping a wheelie. 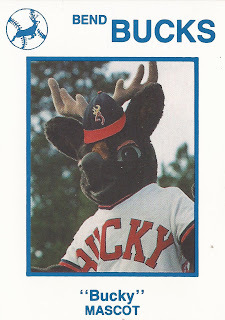 The Buck with his own name across the front of some of his jerseys returned to his own card in 1989 with a more traditional pose, then again in 1990. The Bucks name moved on for 1992, when the team became a Rockies affiliate and took the parent club's name. It is unclear if Bucky stayed on. 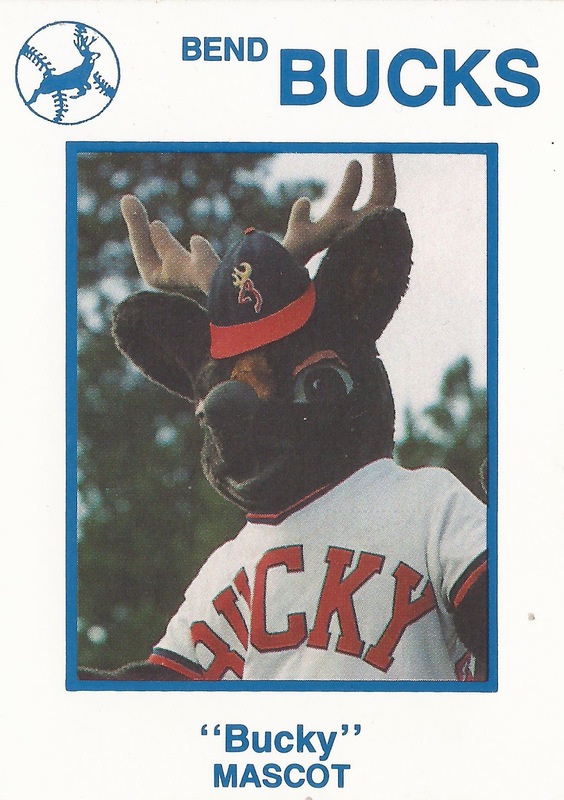 Pro baseball itself left after 1994, but the Bucks returned in a different form, though not necessarily Bucky. The Bucks later returned as a summer high school and collegiate team.